Hukama at The Address Downtown Dubai won ‘Best New Chinese Restaurant’ and Amatista at The Address Dubai Mall won ‘Best New Lounge’ at the Time Out Restaurant’s and Nightlife Awards 2010 respectively. Both venues offer a lively ambience, superior service and delectable cuisine. 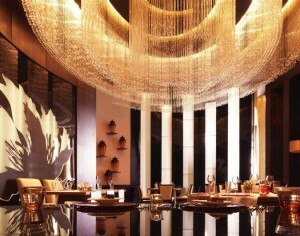 Several dining venues within The Address Hotels + Resorts were also recognized during the prestigious award ceremonies. Rive Gauche, the modern French Brasserie at The Address Dubai Marina was named as the ‘Highly Commended New Comer’ and Asado at The Palace – The Old Town was titled as ‘Highly Commended Latin American Restaurant’ at the gala award function. In addition, Hukama was recognized for its Highly Commended Brunch with the Friday Dim Sum experience. Amatista, the new social hotspot of the city, is famous for its refreshingly different lifestyle offerings. The lounge has partnered with Alchemy to launch its latest themed nights, ‘Amatista by Alchemy’ every Thursday and Friday night. Hukama has been awarded for its authentic Chinese menu and extensive Dim Sum assortment. Offering an excellent culinary spread, and featuring a sophisticated décor, the restaurant is the place for an intimate dinner and social gathering. Rive Gauche at The Address Dubai Marina, the hotel’s signature restaurant, is a modern interpretation of the classic French brasserie and also has an outdoor terrace for al fresco dining. The restaurant adorned with classy chandeliers, mirrors and an a la carte menu gives guests a unique French dining experience. Asado, the highly recommended Latino restaurant at The Palace – The Old Town, serves premium meat cuts prepared in Asado Criollo-style on an open Parrilla grill in the centre of the restaurant. Featuring an a la carte menu as well as an extensive beverage menu, the restaurant provides live entertainment, in addition to tango classes offered on Sundays. The Address Hotels + Resorts offer diverse on-site food and beverage options, premier health and wellness facilities and are located in close proximity to iconic attractions. For inquiries and bookings, please visit www.theaddress.com.